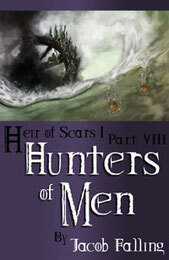 Hunters of Men has been released and is now available for Kindle and Kindle readers! The time for maneuvers has ended, and the time for war has come. While Adria still struggles to find her place between the Runners and her uncle Preinon's new Hunters in Rows, Preinon leads his army into battle against her father's Knights of Darkfire for the first time. Click here for more information or here to see on Amazon.